In this blog, we want to dive into some strategies that you can implement for both organic and paid social media efforts. Who Wins- Organic or Paid? Both. You can't have one without the other and expect incredible results. You need a comprehensive plan that includes both organic and paid tactics, the same as you do in your Google efforts. Organic engagement still matters in the "pay to play" social media landscape. Here are some things to begin implementing on some of the top social media sites for organic and paid follower building. Pin your top performing post to the top of your profile. Is that social post still relevant? Keep it at the top for all to see. This showcases the audience that has already engaged with you and encourages others to engage. Make the most of that viral mindset that says "If they shared it, it must be good, so I'll share it." Just make sure it's worth sharing. Create share-worthy content. A picture is worth a thousand words, but what is a picture with words on it worth? If you have the opportunity to create shareable content, take advantage of it. Promote your local business. If you have a local business or store where your customers can physically be to buy your products or services, promote yourself using the Local Business Promotion option on Facebook. Promote new products or services. If you are offering products and services that you're sure most users don't know about, promote them! People don't know what they don't know, so it doesn't hurt to give them a little glimpse of what you have to offer them. Choose the right hashtags. 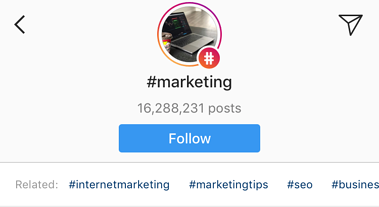 One of the nice features of Instagram is its ability to provide related hashtag suggestions when you are browsing the postings under a specific hashtag. Utilize this! Run a contest that involves users tagging other users. Little asks can reap great rewards. Do a giveaway and tell users to tag their friends as entries. They are far more likely to interact with you if they can get something for free. Encourage user-generated content. Build trust and increase engagement by utilizing user-generated content whenever possible. Website or post promotion. Website promotions can easily be done simultaneously with Facebook Website promotions, which makes this process much easier. Post promotions have to be done on Instagram. If you have an offer or a timely post, don't hesitate to promote it on Instagram. Pin your top performing post to the top of your profile. We used this for Facebook, but it also applies to Twitter. If it's still generating interest, keep it at the top until you have something better to showcase. Choose the right hashtags. See what hashtags others are interacting with that pertain to your post topic and run with them. Find a trending topic and add your voice to the conversation. Target ads at people who are like your specified users. If you already know the demographics of people who tend to buy from you, target them on Twitter with ads. Twitter is smart, so utilize their intel. You'll notice that I have repeats or left certain points off of other social media platforms. There's a reason. Your social media strategies MUST be different for each platform. There is not a cookie cutter way to do all social media. The better you can strategize and refine tactics using your analytics for each platform, the greater results you're bound to see.